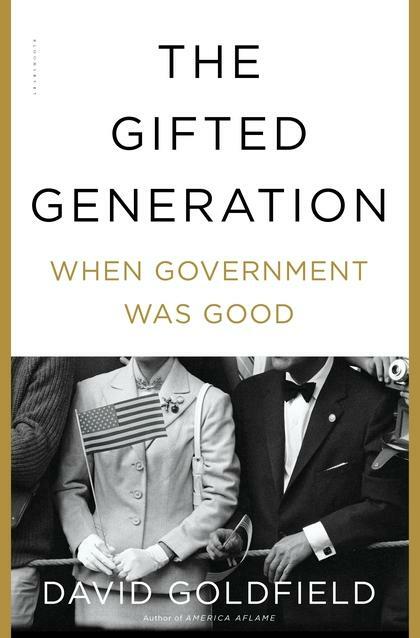 A look at the achievements of Post World War II America and the contributions of Presidents Truman, Eisenhower and Johnson- all chronicled in a new book called The Gifted Generation: When Government Was Good, with guest host Erik Spanberg. The Baby Boomer generation was given expansive opportunities for success and growth after World War II due to public policies that were created. Presidents Eisenhower, Truman and Johnson helped to foster an American society that included forward-looking legislation on a number of important issues, like housing, education and employment. Dr. David Goldfield from UNC Charlotte takes a look at this time in America in his new book The Gifted Generation: When Government Was Good. In it, he chronicles the efforts made by these presidents to make rights equal for minorities and women, to create better access to education, and provide greater opportunities for individual success. David Goldfield joins guest host Erik Spanberg from the Charlotte Business Journal to talk about “when government was good" and whether it can be again. Dr. Goldfield will have a book signing at Park Road Books on Monday, November 20th at 7pm. Info here. Dr. David Goldfield, professor of history at UNC Charlotte and author of several books, including The Gifted Generation: When Government Was Good.